Logan Browning has a lot to celebrate as her hit show 'Dear White People' has been picked up for another season. Yesterday(June 21st) she attended the 2018 VH1 Trailblazer Honors at The Cathedral of St. John the Divine in New York City. 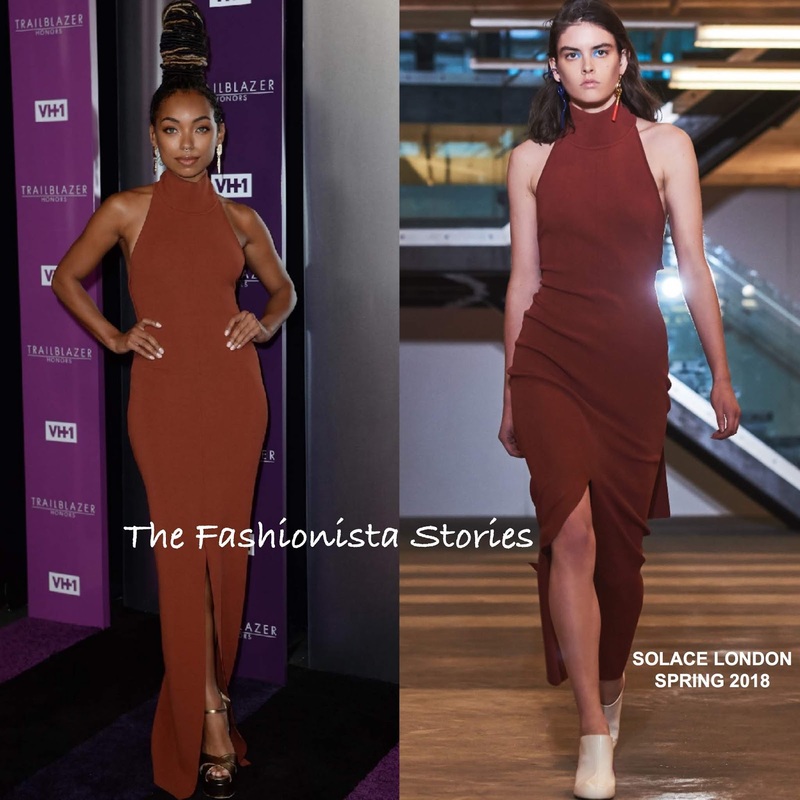 The actress striked a pose on the carpet wearing the SOLACE LONDON SPRING 2018 'Kristen' brown maxi halter dress with a high neckline, a tie back waist and center front split. Brown is one of those tough colors to wear on the carpet. While I think Logan looks beautiful here, I feel like a pop of color wouldn't have hurt. A complimentary beauty look, gold jewelry and BRIAN ATWOOD sandals finished up her look. You can get Logan's Solace London dress via the brand's website HERE.